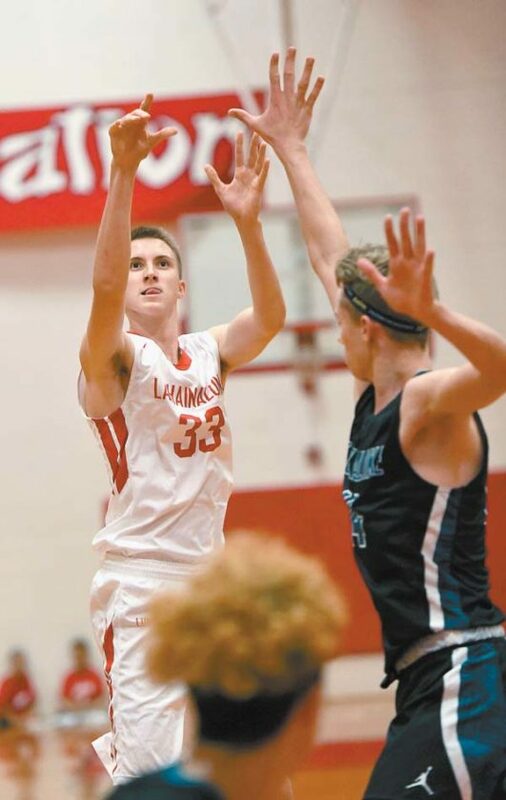 LAHAINA — The Lahainaluna High School boys basketball team lost three senior leaders from last season, including Maui Interscholastic League Division I Player of the Year Jeremi Santos. 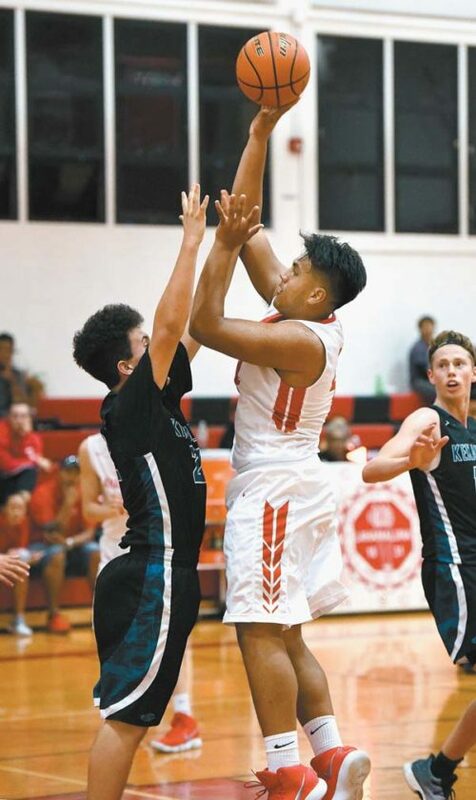 The Lunas found a few candidates to fill those roles Wednesday night in a 66-35 win over King Kekaulike at the Lunas’ gym that began the league season for each team. 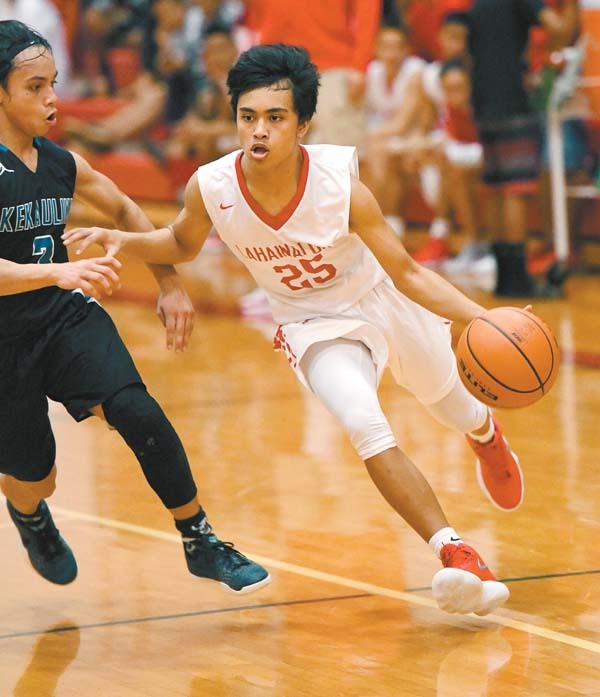 Junior point guard Reece Pascua scored a game-high 17 points for three-time defending MIL champion Lahainaluna, which had gone 2-2 in nonleague games. The Lunas turned on the mercy-rule running clock on a basket by Tre Rickard that finished a fast break to push the lead to 60-30 midway through the fourth quarter. Lahainaluna’s Tre Rickard drives in the second quarter as King Kekaulike’s Ethan Bediamol defends. Koa Evalu-Robinson scored nine points for the Lunas. 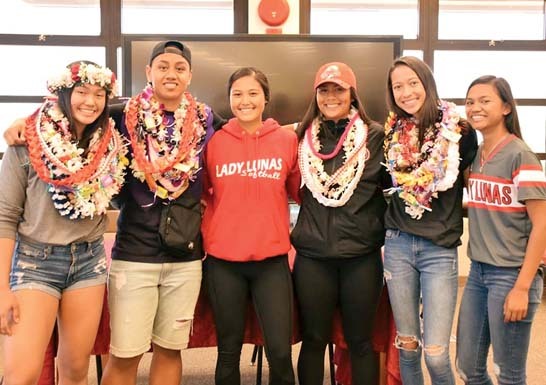 Lahainaluna coach Jason Justus said his team is still deep in the developmental stage. 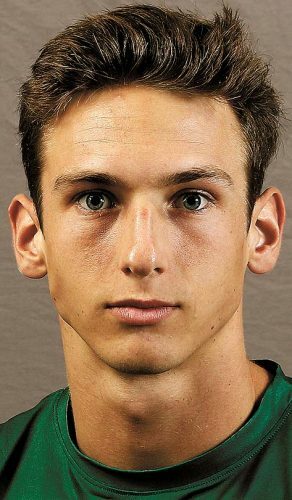 “We have got to find out who we are,” he said. 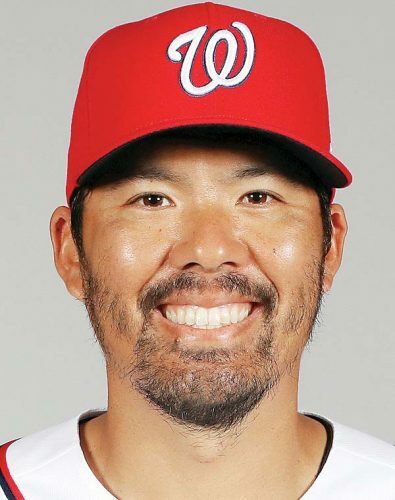 “We’re kind of a team without an identity. I mean, we graduated three big guns last year and we haven’t had anyone step up to be a leader yet. So, we struggled preseason. The Lunas’ Carter Stockham follows through on a second-quarter shot in front of Na Alii’s Dylan Baird. Na Alii have just three seniors — Richard Chun, Milo Debliquis and Kolby Welch. Darius Lauture led the team with 10 points. Coach Aris Banaag said his team can learn from the Lunas, who have seven seniors. Ethan Bediamol 5, Richard Chun 4, Darius Lauture 10, Carson Yoshida 5, Dylan Baird 4, Thorren Rebugio 0, Kaleb Chun 5, Milo Debliquis 0, Corey Frias 0, Kolby Welch 0, Kai Carbajal 2. Reece Pascua 17, Iverson Turno 11, Malino Jacinto 0, Kuikawa Ross 0, Isaiah Tanner 2, Tre Rickard 2, Cley Josef Palma 2, Carter Stockham 9, Siale Hafoka 2, Aukai Kama 12, Hunter Higdin 0, Koa Evalu-Robinson 9. Kamehameha Maui at Maui High, 7 p.m.
Baldwin at King Kekaulike, 7 p.m.
Lahainaluna at Baldwin, 7 p.m.
King Kekaulike at Maui High, 7 p.m.